Офіційний дистриб'ютор ATN в Україні. 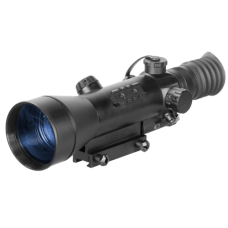 The ARES series night vision scope is ATN's flagship night vision scope, and is one of the most precise and top performing night vision scopes in the whole field. The ARES scope remains one of the most adjustable scopes on the market, all while being incredibly easy to use due to simple and ergonomic controls. ARES utilizes one knob operation, which, despite its seeming simplicity, is capable of amazingly precise elevation and windage configuration. Another area where this scope differs from the pack of other scopes is in its versatility. 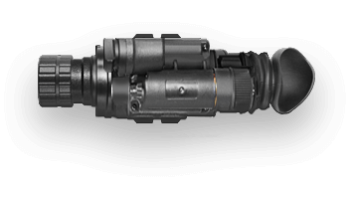 All ARES series devices, regardless of what generation of image intensifier tube you select, come included with a high strength detached infrared illuminator which allows the scope to perform highly even in environments with little to no ambient light. Plus, it features an automatic lighting control system, which means even if you're in a situation with an unstable light source, your device will produce a stable image. 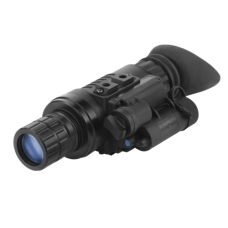 The ARES series night vision scope is one of the highest quality night vision scopes on the market. The ATN ARES series is the latest offering in the ATN night vision weapon sight line. 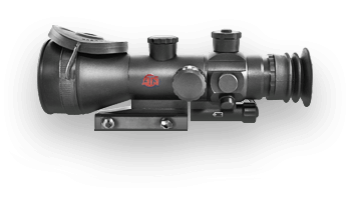 The ARES serie..
ATN's Night Arrow night vision scope is a lightweight, budget friendly, and simple to use high quality night vision scope. Designed to be ATN's premier hunting night vision scope, this scope makes finding your target in the night as easy as can be. ATN uses a red on green reticle system in order to easily see your target, and where your next shot will hit. 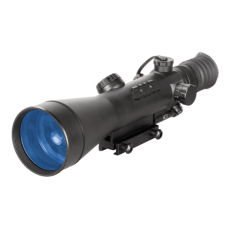 In addition, the Night Arrow features a detachable long distance infrared illuminator. Which could ensure that even at long distances in low ambient light, your device is able to accurately and brightly see your target. The night arrow also features automatic brightness control which ensures that even in unstable lighting, your device delivers a clear and stable image. 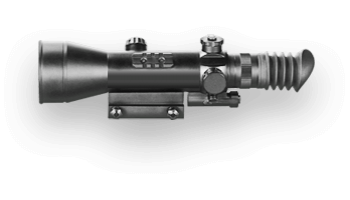 That, combined with a precision one knob adjustment mechanism results in creating one of the most accurate night vision rifle scopes on the market. For an affordable, high quality, and lightweight night vision scope, look no further than the Night Arrow. 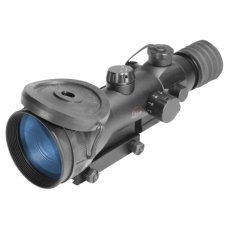 The ATN Night Arrow 4 - 2 from ATN is a rugged Night Vision Weapon Sight that provides excellent obs.. 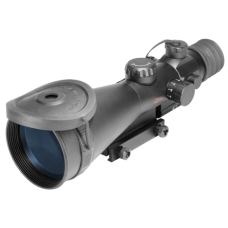 The ATN Night Arrow 6 from ATN is a rugged Night Vision Riflescope that provides excellent observati.. The Night Spirit MP multipurpose monocular night vision device is the best budget tactical night vision monocular product on the market. By combining the functionality of multiple devices into one monocular product, the Night Spirit MP is able to create one of the most comprehensive night vision experiences, serving as a monocular, scope, goggle, and even a camera lens. However, optical performance and high quality durable materials were not sacrificed in order to make the Night Spirit MP the most budget friendly multipurpose monocular. The Night Spirit MP is designed in a variety of popular night vision generations. Regardless of which generation best suits your needs, every single device contains ATN's signature high quality photocathode tube and a built in infra red illuminator, to ensure that even in the darkest situations, its performance will stand strong. In addition, the device is designed with ergonomic controls to make holding and aiming the device easy and comfortable. For the most affordable high quality monocular night vision solution, the Night Spirit MP has you covered.